Hard outer shell made from polypropylene. Lightweight adjustable aluminium trolley handle lets you move around airports in total comfort. 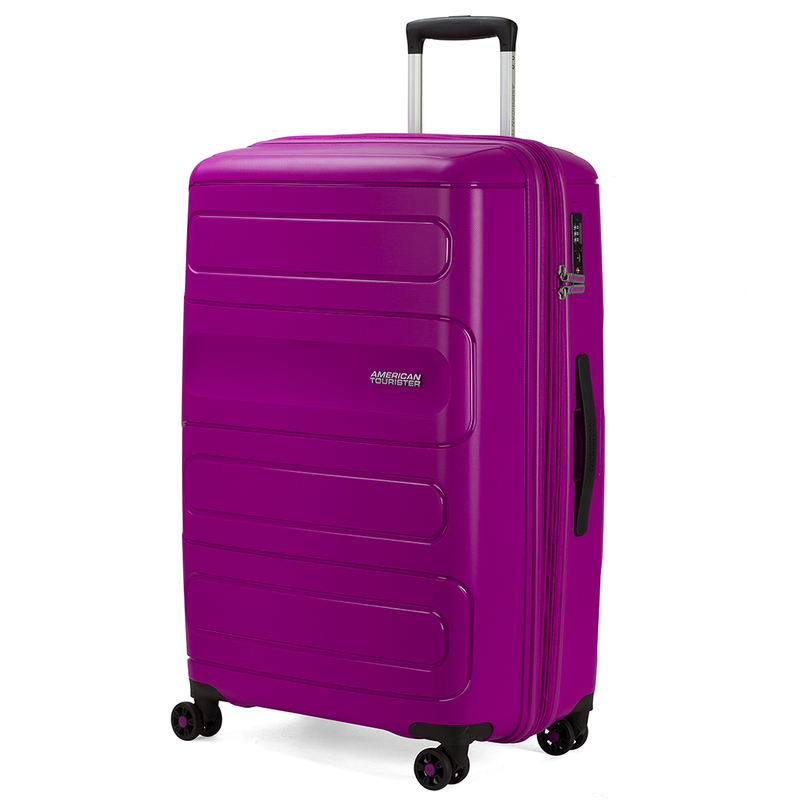 Spinner cases feature four multi-directional 360 degree double wheels, so you can push or pull your luggage in any direction. Inside the main compartment, a set of elasticised packing straps help you pack. The lid is separated from the main compartment by a zippered mesh curtain, allowing you to keep your luggage organised as you travel. Two pockets in the mesh curtain, plus a handy pocket that dangles from the top of the case ensures small items won’t get lost among the rest of your luggage. Dimensions: 77cm (h) x 50cm (w) x 31/35cm (d).